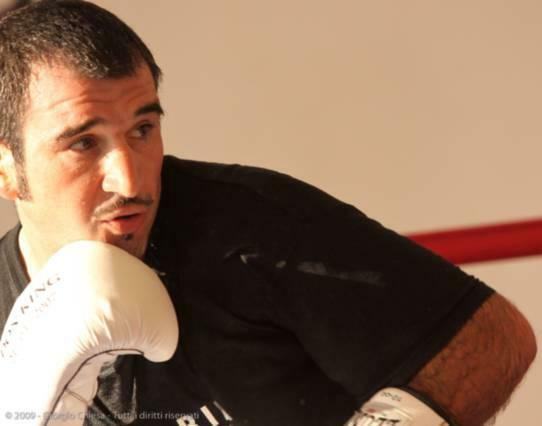 After fighting Tony Randell, on July 23, 2011, in England, former Italian welterweight and light middleweight champion, and WBA world title challenger Luca Messi didn’t get back in the ring for almost a full year. He devoted most of his time to his gym, a huge facility close to Bergamo in Northern Italy, but that doesn’t mean that he retired. Today, Luca made it clear: “I never stopped training like a pro. I am always in peak condition, and I am more motivated than ever. I will be back in the ring within a few months. I hope to fight before the end of the year to to get a title shot in 2013. I mean a major title, like the European championship. My dream, of course, is to become world champion”. Messi almost fulfilled his dream when he challenged WBA light middleweight king Alejandro Garcia, on August 13, 2005, at United Center in Chicago: “Nobody gave me a chance to get past the first round because Garcia was a ko artist who had a record of 24-1 with 24 knock outs. I proved them wrong fighting twelve full rounds and I can proudly say that I had my moments banging Garcia with both hands. When Don King offered me the fight, he warned me about Garcia’s power, but I accepted in a second. I couldn’t miss the opportunity to fight for the world title in a major American arena, in front of thousands fans and millions watching. I wanted to make my name famous on the international scene giving a good show, even if I didn’t win. That was my mistake. I should have entered the ring confident to defeat Garcia – who proved to be much less dangerous than expected – I’m sure I would have won on points”. Born on February 12, 1975 in Bergamo, height 5’7’’, nicknamed “Bergamo Bomber”, Luca Messi fought professionally 46 times between February 1988 and July 2011 compiling a record of 36 wins (13 by ko), 9 losses and 1 draw. Besides the Italian belts, he won the WBA Intercontinental and WBU International welterweight titles.